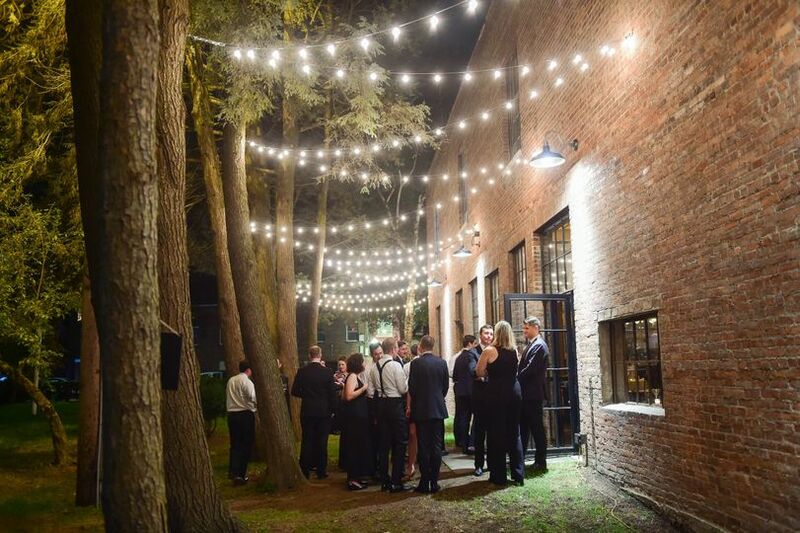 Senate Garage is a modern and industrialized wedding event venue located in Kingston, New York. 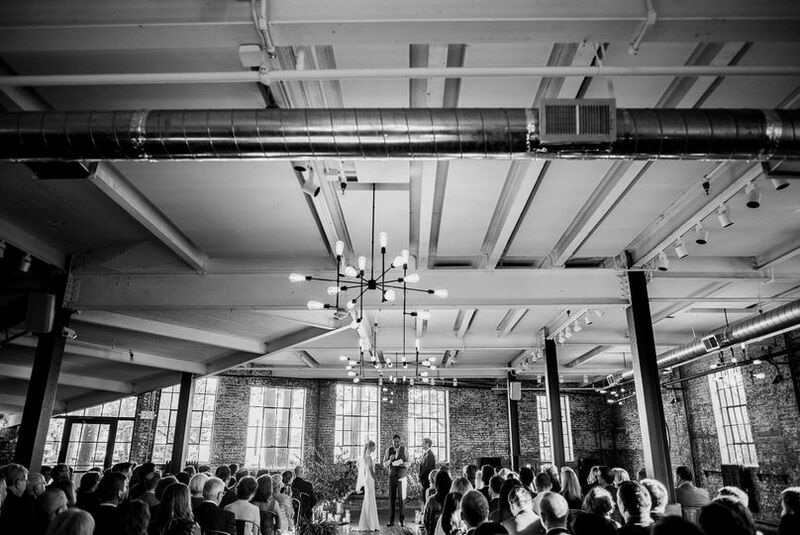 Originally built in the early 1900s as a parking garage for dignitaries, this venue has developed into an industrial icon created from brick and steel. Senate Garage is surrounded by extravagant gardens and the colonial setting of the Senate House State Park, which is just a short walk away. 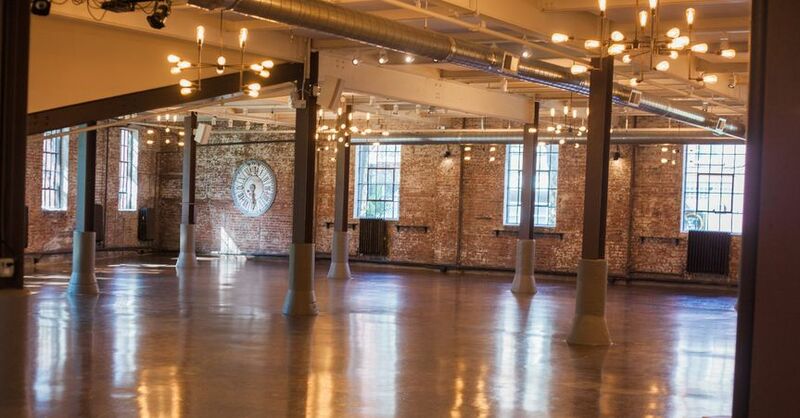 This versatile space can also host many types of unique wedding events, no matter if they are designed to be indoors or outdoors. 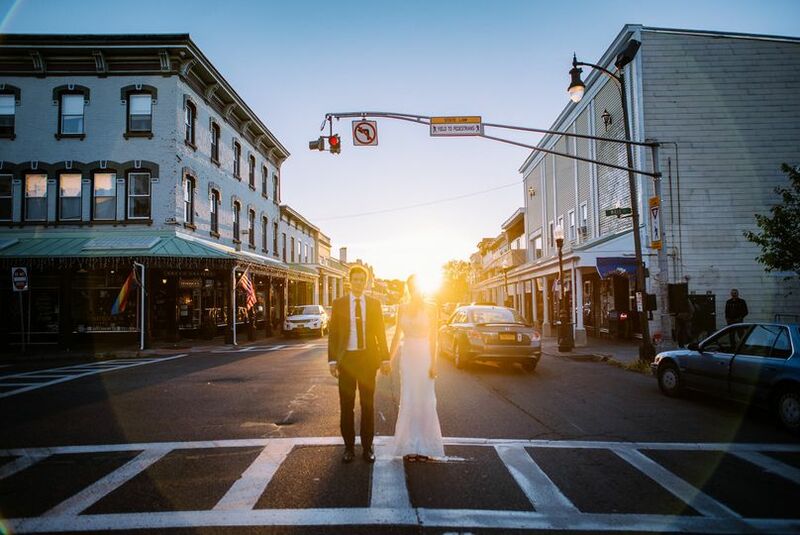 Senate Garage is also a reasonable 90 miles away from New York City, which is perfect for wedding couples who would like to plan a bridal or bachelor party in the city and then head to the venue for the real celebration! The space at Senate Garage has been completely renovated to fit the needs of couples who love stylistic restoration. 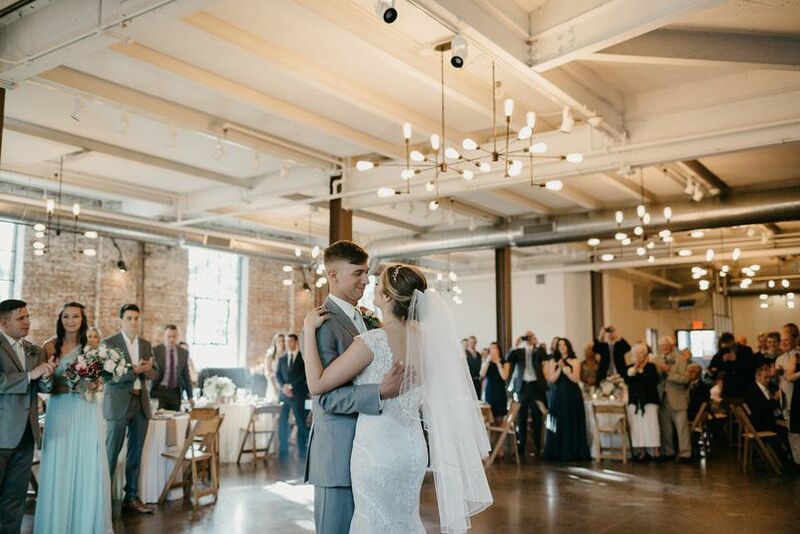 This revitalized parking garage has been transformed with lots of exposed brick and steel beams to create a classic, rustic, and vintage space for wedding couples from all walks of life. 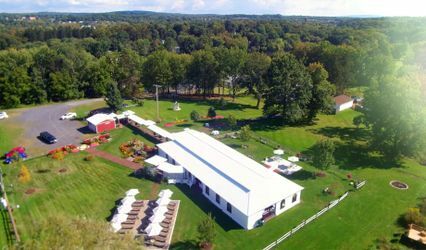 The grounds are also very picturesque, with tall trees, shaped shrubbery, and landscaping to set the perfect backdrop for your wedding day. Whether you want an indoor or outdoor wedding event, you will have lots of amazing photo opportunities on your special day at Senate Garage. Overall, the space can accommodate up to 275 guests for the ceremony and reception, and up to 450 guests at the cocktail reception. No matter how many guests you have, they will be well treated in a modern, sleek style. Senate Garage partners exclusively with Bridgecreek Catering to bring you farm-to-table cuisine items. Being in the business for over 20 years has helped this company come up with some truly delicious meal selections. 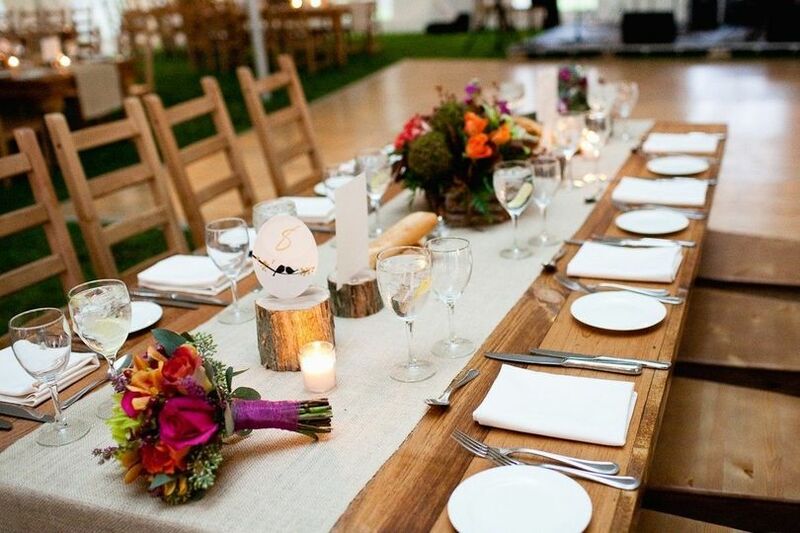 This company will help you with the menu selection, floorplan, planning your timeline, and managing the setup and cleanup of your event. 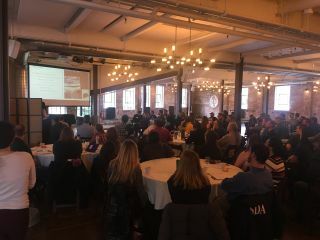 We held a non-profit meeting of about 100 professional at Senate Garage. The feel and look to Senate Garage holds true to the spirit of old time America and is an excellent example of how a re-purposed structure can carry its beauty through the decades. 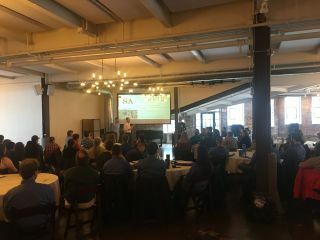 SG was extremely accommodating and able to work with our needs to provide everything we required to hold a modern, quaint and polished professional meeting. The sound/acoustics throughout the space was superb. 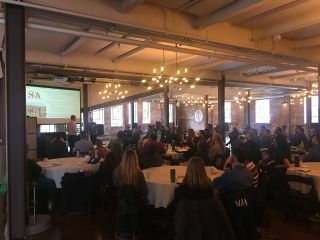 This venue is located in a great location to Downtown happenings in Kingston. Our group will be happy to return! Get married here! Save yourselves the stress of looking at dozens of venues and just choose the Senate Garage. My wife and I got married here two months ago, and now that the dust has settled and the pictures have been developed, we are happier than ever with our choice. First and most importantly, the people there are top-notch in terms of professionalism, organization, and kindness. We met the owner Judy and worked mostly with April - both were delightful in every sense. The venue is staggeringly beautiful. 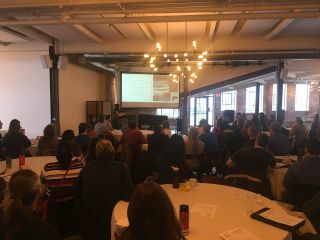 Our guests have gotten in touch in the past few weeks and told us how unique, gorgeous, and fun the space is. 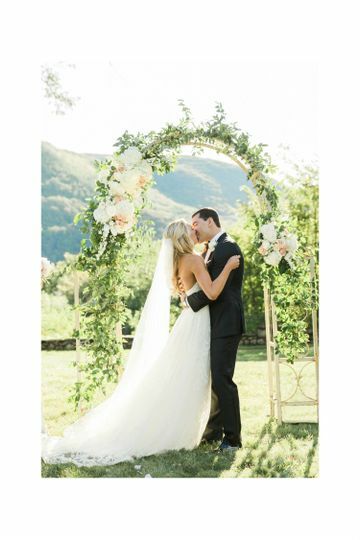 April worked with us to customize it to our style, and the results were amazing. 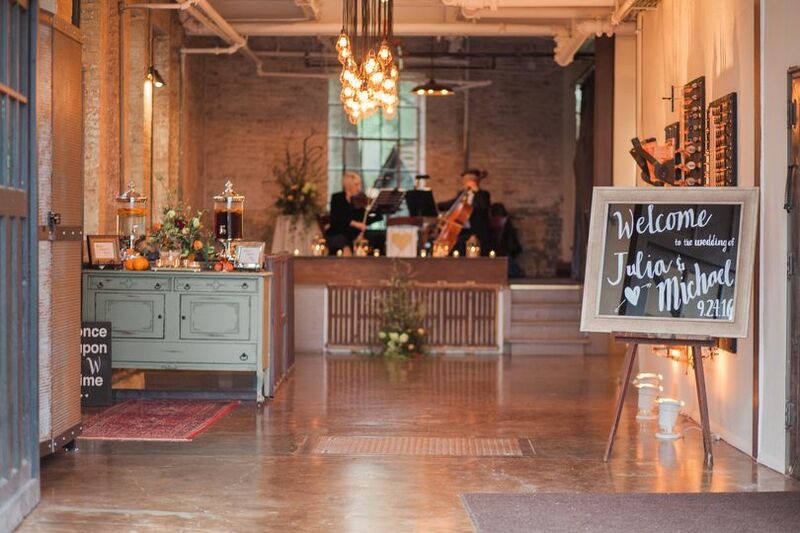 Bridge Creek Catering, the team that handles Senate Garage weddings, were also outstanding (see their reviews for confirmation) and work extremely well with the Senate Garage team and space. Collectively, they made an A-team that we felt had our backs at every turn. As far as planning, April kept a great balance of staying in touch and keeping things moving while still giving us space to make decisions. 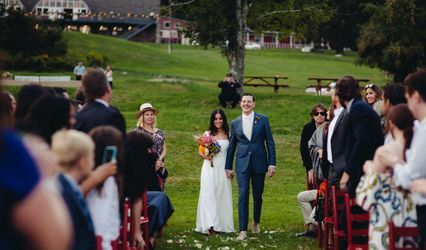 She navigated the state park system for our outdoor ceremony onsite (recommend this! ), which saved us a lot of time and stress. The Senate Garage also provided us a great packet if local vendors and artists for every aspect of our celebration (shout out to The Sheeley House for accommodations, Silver Arrow Band for music, Chops Grille for the afterparty, Le Canard Enchaine for the rehearsal dinner, All-Transportation Network for shuttles, The Dancing Tulip for flowers, and Jonathan Gies for custom signage and artwork). I can't say enough good things about the Senate Garage space and team. They made our wedding perfect (to us! ), and we'd recommend them without hesitation. 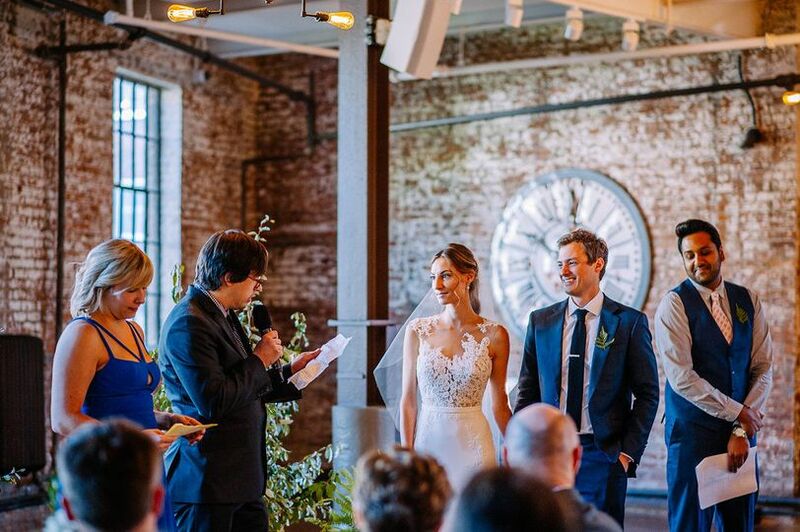 Looking back I feel so blessed to have gotten married at the Senate Garage in such a beautiful, industrial, romantic space. 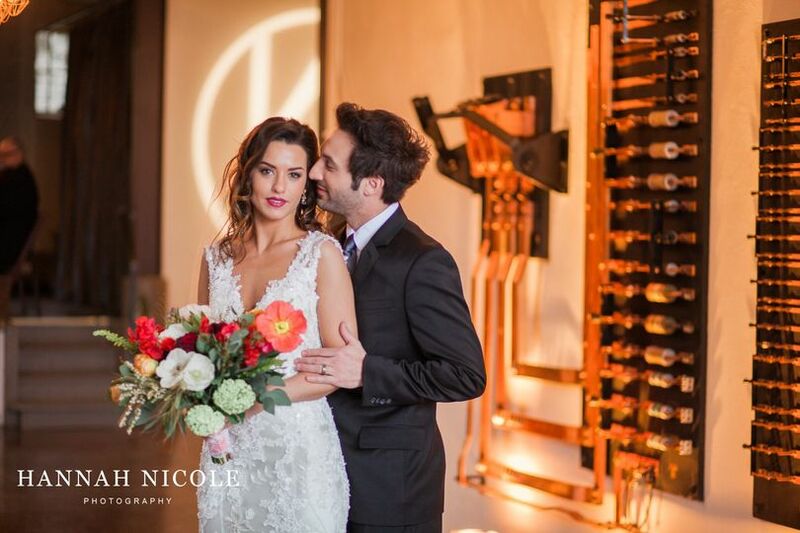 We've heard nothing but exceptional reviews from all of our guests and we could not offer a stronger recommendation for any couple considering this venue for their special day. 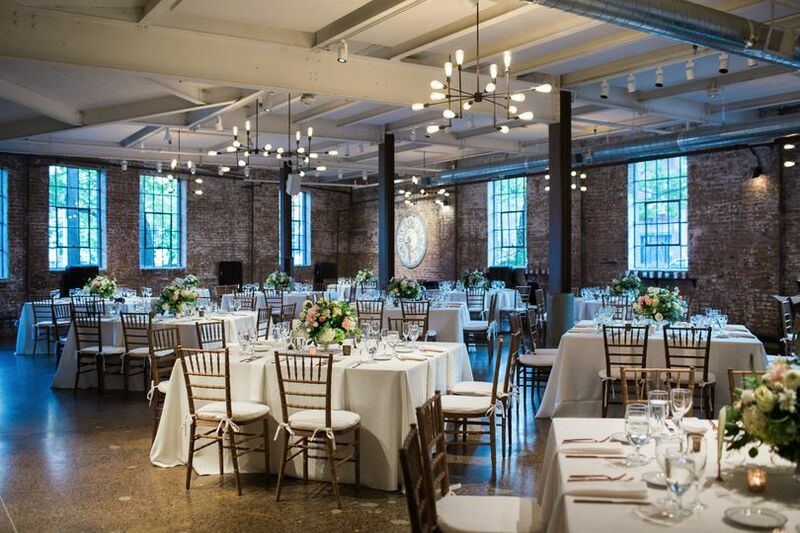 Takeaways: Book the Senate Garage if you want an industrial, romantic venue (you really don't even need much decor since the walls are already stunning! ), start working with April as soon as possible - she will help you create the wedding of your dreams. 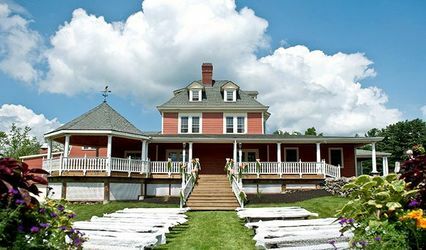 This new venue is a beautiful addition to the wedding industry. I find myself recommending them often! There staff are also friendly, professional and eager to please which makes them wonderful to work with!